Four legged animals have it easy. As they walk along, their ribs hang off of their spine like clothes on a clothes line, the weight of their torso helping to stretch out the joints and ligaments of their spines. Even our ape like ancestors, who spent much of their days hanging from branches, had plenty of opportunities to stretch out their backs. It was only when our predecessors took to walking on two legs that the muscles supporting the spine and ribs had to adapt to an active role in posture. When we look at a human skeleton from the side we can see that the structural support, the spine, is situated at the back of the body. The ribs stick out to the front of the spine, and without muscles, it actually looks like the rib cage should collapse. There really is nothing more substantial than soft tissues supporting the front of the torso, and the reason that we don’t collapse is that the back is held in tension, and the rib cage is pulled up by tension in the sides and back. Perhaps the closest example for how this works is raising a flag on a flag pole. As you pull down on the rope, the flag raises. When there is not enough tension in the rope, the flag will droop. There are many small muscles in our backs that, by working together, provide this same type of tensioning function for the rib cage. When this tensioning mechanism is not working well, the rib cage will slump at the front. A slumping rib cage sets up postural dynamics which many of us are intimately familiar with. The slumped rib cage additionally inhibits breathing, it is as if our breathing became stuck around an exhale, and our ribcage will make small respiratory movements around the exhale. Each of our shoulders and arms is connected to the rest of our bodies through one joint, a small joint with a surface area of about 1/2 inch, located at the top of the front of our rib cage where our Clavicle meets the Sternum. There are many muscles and tendons connecting the shoulders to the rest of the body, but their job is to dynamically counteract the force of our arms pulling or pushing against something. The shoulders essentially rest on top of the rib cage, stabilized by this single joint on each side. When the rib cage slumps, the shoulders roll forward around the rib cage. When this happens we often try to pull the shoulders backward using the large dynamic muscles of the back. But as soon as our attention wanders these muscles relax, or if we manage to keep these muscles tight, we end up with some very dense muscular tissue in the rear of the shoulders and neck, which we often describe as a classic military posture. When the front of the rib cage floats upward, the shoulders should just naturally roll backward around the rib cage. None of the large dynamic muscles supporting shoulder function need to be active, and the shoulders are perfectly positioned to dynamically support the arms when needed. If the muscles on the front of the chest are tight, this can be challenging, but this soft tissue is usually quite easy to release. When the rib cage slumps, the topmost ribs, the first and second ribs, angle downward at the front. The first and second ribs are the connecting point for many of the neck muscles. As the ribcage slumps, pulling these top two ribs downward, they drag the neck and head forward. When the head is positioned in line with the gravity line of the body, the muscles of the neck just have to make minor corrections to maintain this position. When the head is pulled forward by first rib misalignment the neck muscles have to work much harder to support the weight of the head. When muscles are constantly activated the muscle tissue becomes dense and fibrous. The spine at the top of the rib cage can accumulate a large area of dense tissue known as a Widows Hump. (You can see this in figure B. Figure A also has his head forward, but for different reasons, leading to compression in the middle of the neck; C4,5) The added tension challenges the spinal joints and can lead to cervical disc compression usually at the base of the neck, but potentially anywhere along its length. Numbness and pain in the arms and hands is a common symptom. Both shoulder and head position can be adjusted by paying attention to the sternum, which connects the ribs at the front of the rib cage. 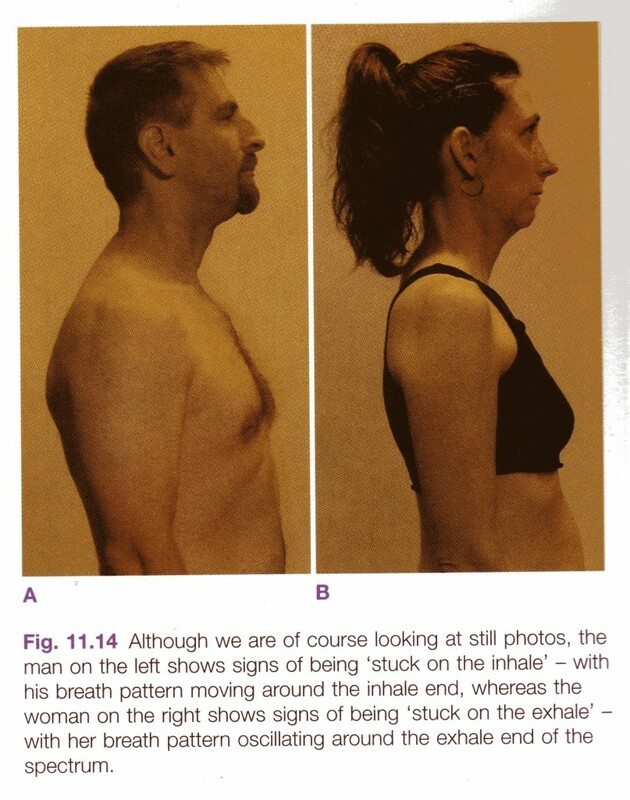 In breathing the sternum should float up and down as we inhale and exhale. Although the rib cage can become fixated at any point in this cycle, fixation at the end of the exhale is of special interest. This is the point where the head is farthest forward and the shoulders slump forward. Fixation of the ribcage at any other point in the respiratory cycle is often effectively addressed through soft tissue work, but at the end of the exhale the rib cage can become mechanically stuck, restricting breathing and other functions of the viscera to this smallest Thoracic volume. This posture is associated with low self image, leading with the head, anxiety and many other characteristics that can linked to feeling unsafe. 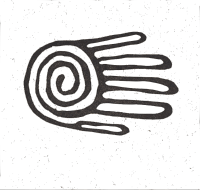 Breathing is more of a struggle when the ribcage is jammed in this position, and having to make an effort to bring in an essential nutrient such as oxygen cannot help but exacerbate these feelings of unease. Understanding mechanical fixation of the sternum at the point of exhale requires some understanding of the sternum’s composition. The sternum is comprised of two major components which are made of cartilage. 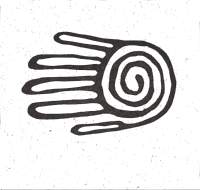 (there is a third smaller part at the bottom right above the stomach). The topmost part is attached to the first two ribs, and the lower part is attached to the ribs which make up the bulk of the rib cage. Visualizing the rib cage as a cylinder, the top two ribs are somewhat of a top for this cylinder, and as we inhale, these ribs work somewhat independently of the rest of the rib structure. 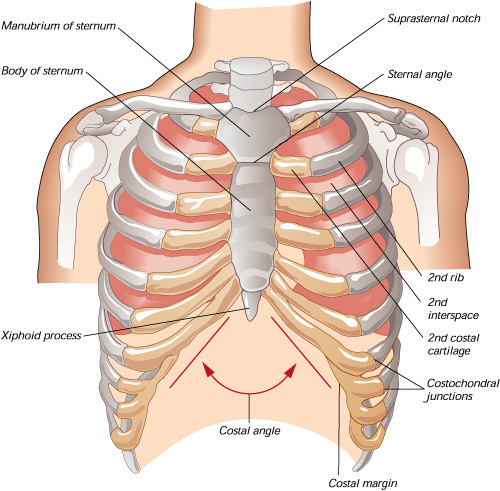 As the front of the rib cage is directed upward on inhale, the top two ribs and the part of the Sternum connected to them angles away from the rest of the rib structure, preventing them from restricting the lower ribs as they move upward. This varying angle of the two parts of the Sternum is very important. If the top piece of the Sternum is directly in line with the lower part, it can and will jam against the lower part, inhibiting breathing. For many of us, these two parts of the Sternum have been jammed together for most of our lives. In addition to Manual Therapy, being aware that the Sternum is hinged at this point between the second and third ribs is very helpful. In talking about this hinge, the visualization of line pulling the rib cage equally up and forward is often used. This line is known as the Sky Hook. 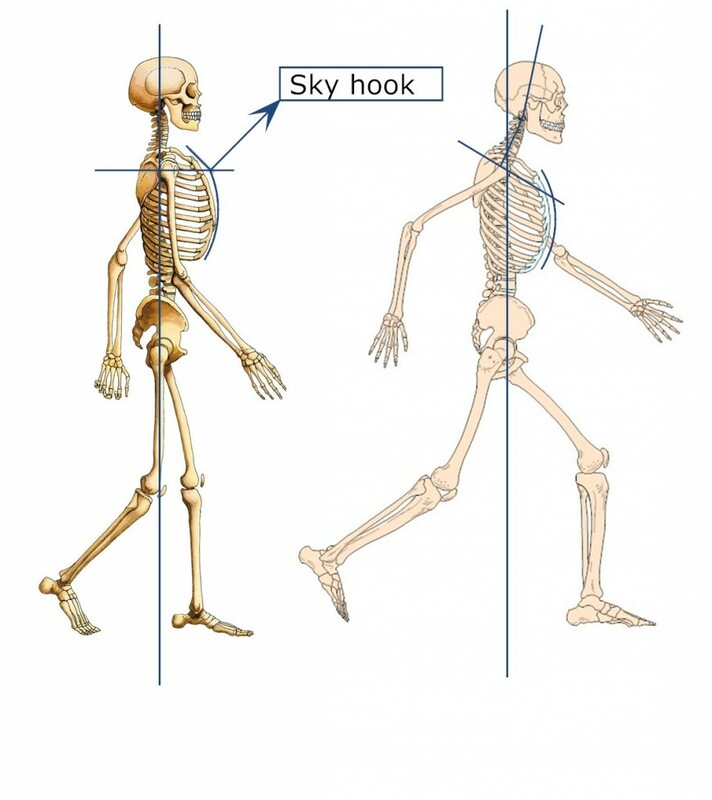 Visualizing the Sky Hook is a key element of retraining the hundreds of muscles that work together to stabilize the ribs and assist in breathing. Often, when someone first experiments with the feeling of how the rib cage can be pulled forward and upward at this point, it feels that a great effort is being made, and that many muscles are engaged in the process. In a relatively short time however, the action can become quite easy and effortless, using fine postural muscles that are quite suited to the job and don’t complain about the work. Although it is easy enough to learn how to activate the Sky Hook on your own, a little coaching can be helpful. You just need to pay attention to the Sternal Angle when breathing and moving. Additionally ensuring the the body of the Sternum is moving upward and downward when breathing is important.